business we are today without the support of all of our varied and valued communities. We are a family run business, each of us born and raised here; living and working, volunteering and supporting other local businesses, serving on community councils, leading community initiatives and supporting projects led by others. Our communities are the “why” and the “how” we are here today. We know this. We value this. And we want to do what we can to give back. After all, community is what it’s all about. Maritime Fun Group is committed to supporting positive, meaningful initiatives that address environmental, social and health issues, especially on Prince Edward Island. We have always believed in contributing to the communities where we live and work. We are happy to be able to donate to a number of initiatives every year. To submit a request, please read through the guidelines carefully and submit your request. Maritime Fun Group is pleased to be able to contribute to many sports teams and non-profit organizations, offering prizes to hockey tournaments in the winter, soccer tournaments in the summer, passes for local fundraising groups, and so much more. 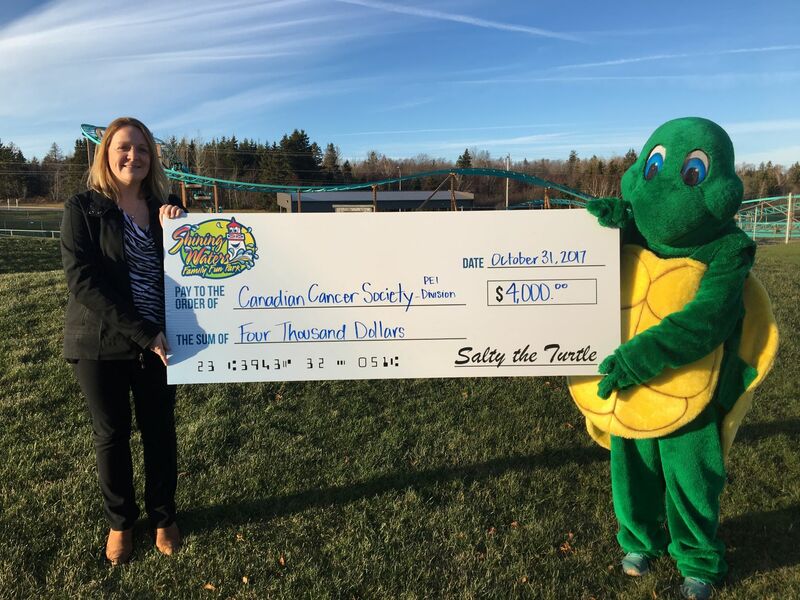 Proceeds from the Used Towel Program at Shining Waters Family Fun Park are donated to the Canadian Cancer Society – PEI Division after every season, and our staff is especially excited to go shopping for the Toys for Tots initiative every December. Learn more about the recent ways that Maritime Fun Group has given back. Education is a continuous process. Here at Maritime Fun Group, we never stop growing, learning, developing. Each year, our staff takes the time to learn from others in the industry, no matter the field: safety, mechanical, human resources, operations, and the list goes on. We are proud to say that continuous learning has always been a priority. Find out what we’re up when MFG Learns.